Carpet cove base is often specified by customers and designers in commercial and residential carpet installations. 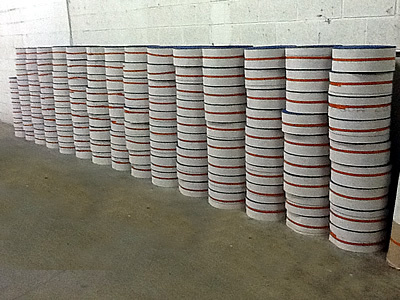 Carpet Binding Services provides cutting, binds and delivers carpet cove base to contractors and retail stores in the entire Washington, Maryland and Virginia area. They are expanding their cove base business and will now ship to those customers outside the area. Carpet can be shipped to them directly from the manufacturer. Please contact them with your quantity, size and time requirements so they can work with you to complete your job to satisfy your schedule. 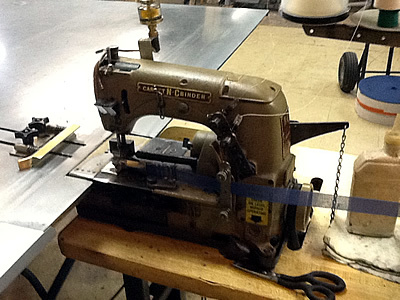 At Carpet Binding Services, we create Carpet base by fabricating it from using your carpet scraps. If your local, in the Baltimore-Washington Metropolitan Area, we can pick up your carpet or you can drop them off at our facility. 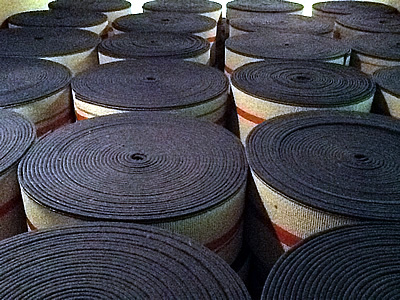 For large customer, we will receive your carpets direct from the manufacturer. 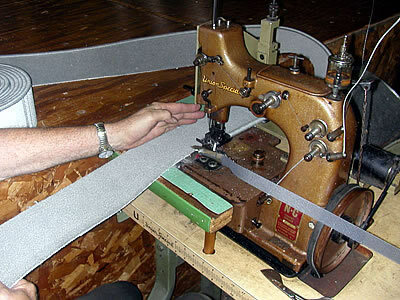 Once your carpet is in house, we then cut them into long strips up to 6" wide and begin binding the top edge of the strip. 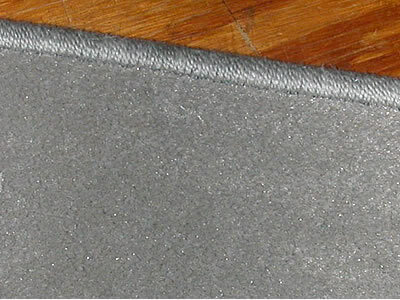 The Binding on the Carpet base is the edging that is normally sewn around carpet rugs to keep the edges from fraying. 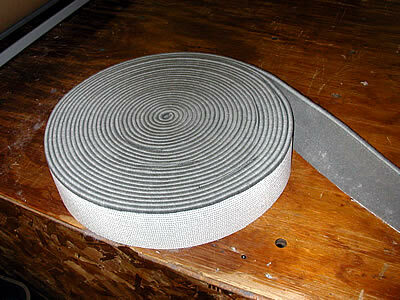 Your carpet base edges are finished & a glue strip can be added for easy installation. 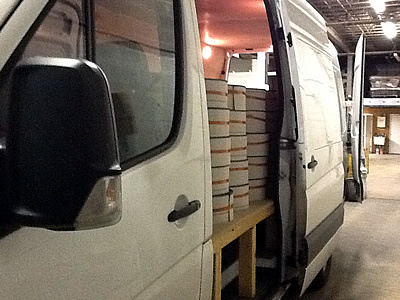 Your carpet base is wound up & prepared for delivery or pickup. It's that easy. 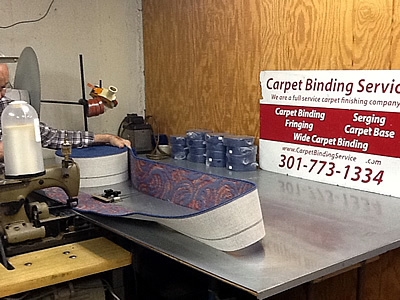 Contact Carpet Binding Services at 301-773-1334 concerning your carpet cove base needs. We look forward to the opportunity to earn your business. Carpet cove base is affordable. Besides being more affordable than traditional products, CBS produces your cove base product from your carpet, which saves you even more money. Carpet cove base doesn’t show scuff marks, hides wall imperfections, doesn’t dent, makes room appear larger, and makes cleaning easier. Preferred by housekeeping staffs in businesses and hotels. 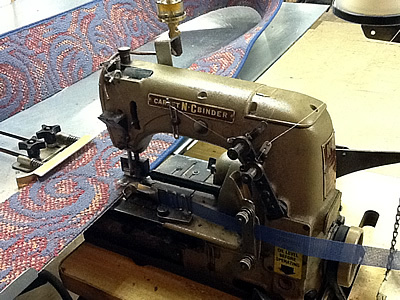 At Carpet Binding Services, carpet base can be fabricated using your carpet scraps and will always match your carpet and offers design continuity and more than superior aesthetics. Custom Carpet Base is a much softer alternative to the old standard once popular vinyl (cove) base. Carpet cove base will last for as long as you keep your carpet. 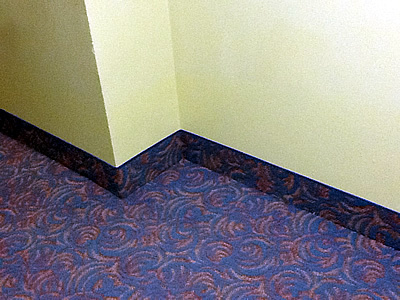 Carpet cove base is the latest room enhancement that is being used by more businesses and interior designers and is a great alternative to wood or vinyl baseboards in most any commercial installation including hotels and public buildings; Preferred by housekeeping staffs in businesses and hotels. The Carpet cove base is beautiful and will always match your carpet, because the cove base is your carpet; Carpet cove base is affordable and will last longer than traditional installations. like the old standard once popular vinyl (cove) base Durable. Carpet cove base will not scuff and will last longer than traditional installations.